Water Street Home All Hail, To The Great Pumpkin! Halloween has always been one of my favorite holidays. This weekend, I got into the spirit starting with a party, then pumpkin carving, and on Sunday night I watched the classic Charles Schulz animated special, “It’s the Great Pumpkin, Charlie Brown.” The ever-wise Linus, certain of the Great Pumpkin’s existence, waits patiently for it to appear in the pumpkin patch while the rest of the Peanuts crew partakes in a trick-or-treating. While I watched Snoopy swim determinedly across the river to get to the Halloween party, I considered the water implications of this tale and some of the Halloween icons it incorporates. The pumpkin patch: Although it didn’t ultimately produce The Great Pumpkin, Linus’ patch looks lush and full of fruit. Fortunately for his water footprint, pumpkins are one of the more “water-light” foods requiring only 44 gallons of water/pound of fruit for growing. The Great Pumpkin: If Linus did experience the current record-holder for pumpkin greatness he’d be looking at a single piece of fruit that required approximately 115,482 gallons of water to be grown (that is a 2624.6 lb. pumpkin!). Chocolate: Candy bars are a popular Halloween handout in the Peanuts neighborhood and it takes 225 gallons of water to produce one regular (not Fun Size!) 1.55 oz. chocolate bar. Snoopy. The average beagle consumes about two cups of water per day. If you multiply the 78 million American-owned dogs by two or more cups of water BY 365 days per year—that’s a lot of water to keep our canine friends hydrated! The black cat: It requires approximately 3,667 gallons of water to produce enough canned food to feed the average cat for 5 days. There are about 85.8 million cats living in the U.S.
Ghost: Whether they have the standard 2 holes or Charlie Brown’s 20+, it takes 2,800 gallons of water to produce one cotton sheet for a ghost costume. Lastly, it’s worth suggesting that maybe, just maybe, our hero Linus’ goblin-laden dream and eventual collapse in the pumpkin patch wasn’t so much caused by exhaustion as it was by dehydration—considering he was out there all of Halloween night without any water in sight! Had he only taken a refillable water bottle on his journey, Linus may have met his hero after all. 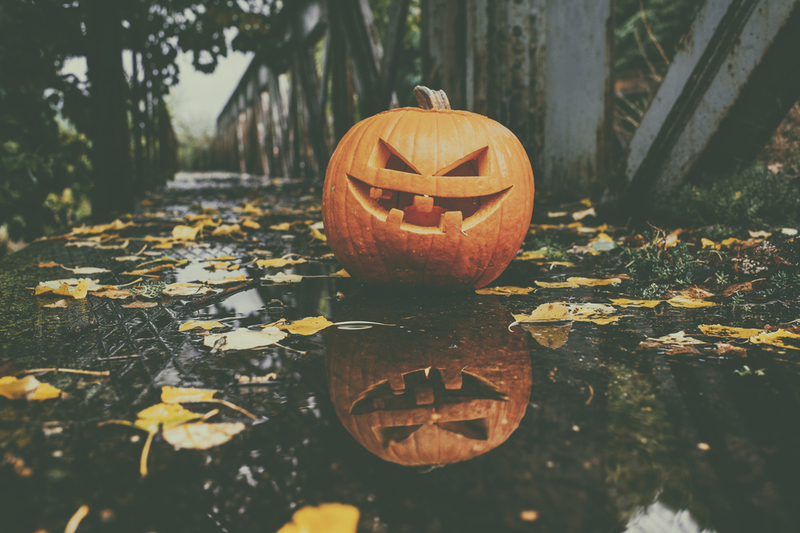 So, this Halloween I invite you to join me in saying “All Hail!” to The Great Pumpkin for the interesting facts it brings us about just how precious water is to every celebration and everyday life.